The origins of the town of Cambridge have been somewhat obscured by the mists of time. There is evidence that there already was a settlement here when the Romans arrived in the first century. They built a fortress on the Castle Mound in order to protect the bridge over the river. In addition to the various roads leading from the bridge, the river served as a link both to the sea and the interior of England. Consequently, the town prospered from trade and continued to do so even after the Romans left. 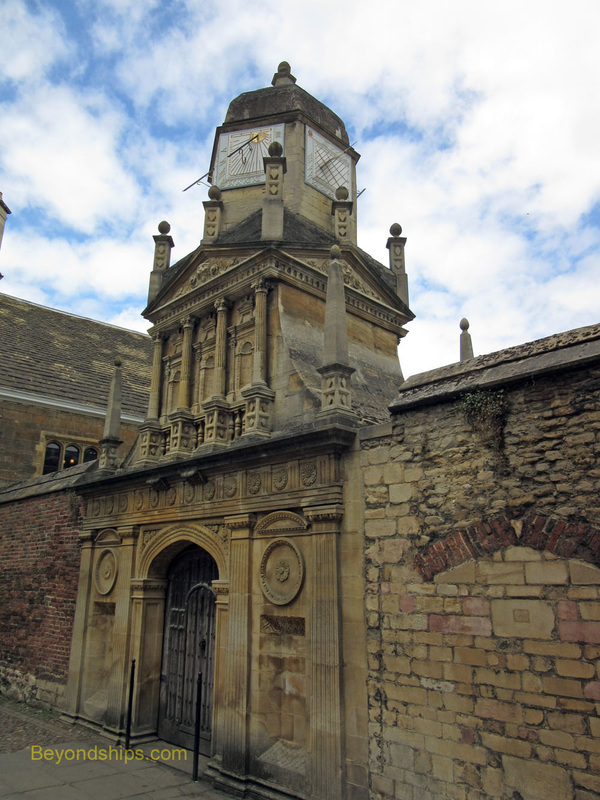 Around 1209, a rift had developed between the scholars and the townspeople in Oxford that led to some of the scholars being hung. To escape this hostility, some of the scholars escaped to Cambridge where they resumed their study and teaching. From almost the beginning, there was animosity between town and gown. The young students would cause disturbances and the townsfolk would overcharge the students for necessities causing resentment on both sides. This hostility deepened as various kings promulgated statues to protect the scholars and to give the colleges special privileges. While not as open as in the past, traces of this hostility continued on to modern times. At first, the scholars lived in lodgings in the town. But then groups began to hire houses. These were turned into hostels where the students would live and study together under a master. With the growth of Cambridge as an academic center, so did the need to affiliate and work together. By 1226, the teaching masters had organized and appointed a Chancellor as the head of the university. Over time, the university took on other roles such as establishing standards for degrees and later even some aspects of law enforcement. 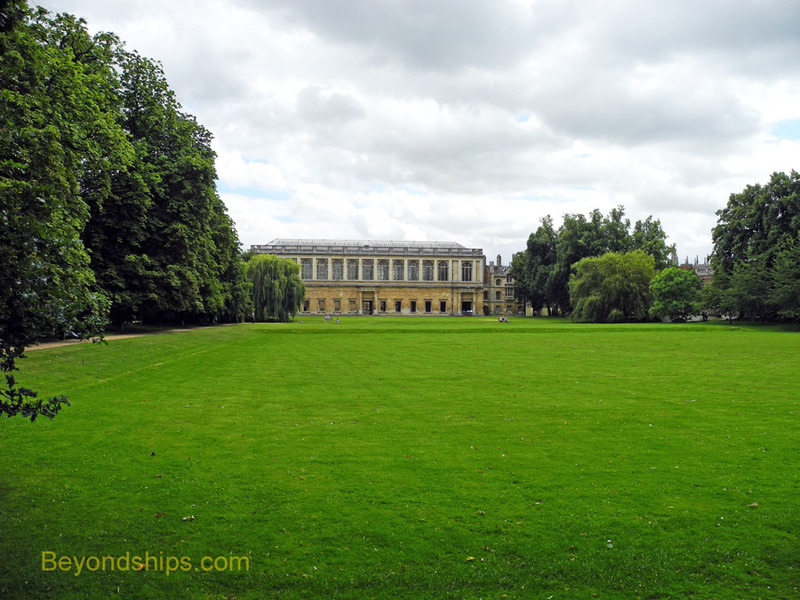 In 1284, Peterhouse, the first Cambridge college was founded. A college is a formal ongoing organization encompassing a number of teachers and students. They provide residential and other facilities. Soon the hostels were absorbed into the colleges. All students must be a member of a college. The colleges sprouted up in various locations around the town with the greatest concentration of them along the river between the Silver Street bridge and the Magdalene bridge (sometimes called the “Great Bridge”). As a result, there is no single Cambridge University campus. Indeed, for many years, the University (as opposed to the colleges) had no buildings of its own and instead used various churches for its ceremonies. In the fourteenth century, the University acquired some property on Senate House Hill and constructed a group of buildings. In the centuries, that followed it acquired more property. Still, most of what you see today belongs to the colleges rather than the University. In the eight centuries since its funding, Cambridge has played an important role in national and international affairs. For many years, Cambridge and Oxford were the only universities in England. Thus, this was where the educated people were. Subsequently, it became the place where the statesmen, scientists and other leaders were trained. Research done at Cambridge changed the world in fields such as atomic energy and medicine. 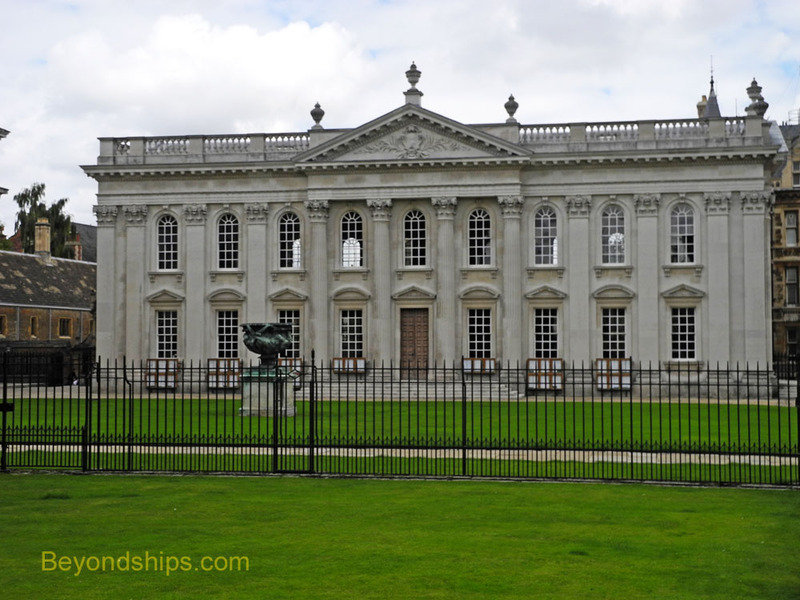 Cambridge is structured differently than most other major universities. There is the University, which sets courses and their content, organizes lectures, runs the examinations and awards the degrees. However, there are also 31 colleges. The colleges provide room and board for undergraduate students, oversee the students' academic progress, and arrange for the “supervisions.” They also serve as a social center, hosting extracurricular societies and sporting clubs. This arrangement does lead to some duplication. For example, each of the colleges has one or more libraries as does the university. However, it does afford the students the benefits of a large university while at the same time, the benefits of living and studying in a more intimate environment. 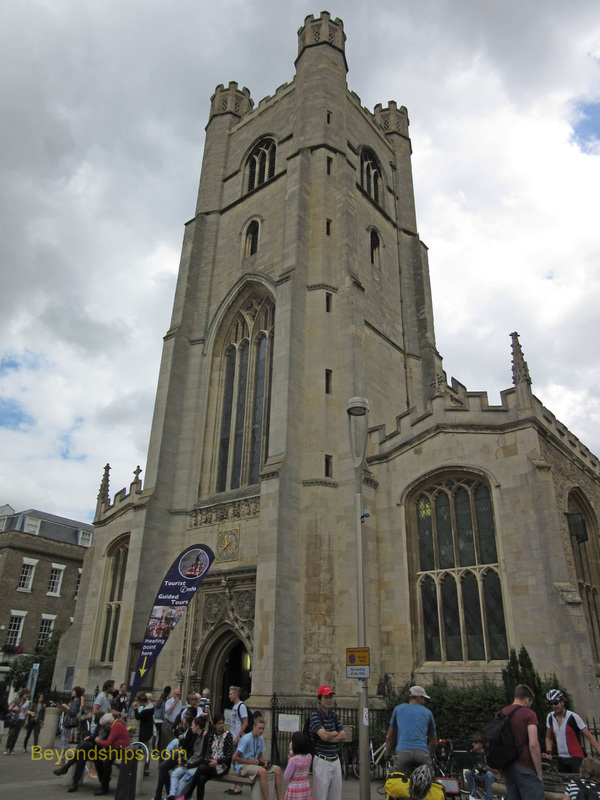 People seeking to study at Cambridge apply to one or more of the colleges for admission rather than to the University. Once admitted, the students pursue a “course” such as archeology, economics, history of art, law etc. Most courses require the student to be in residence at his or her college for three consecutive years. Above; By tradition, upon graduation students at Gonville and Caius (pronouned Keys) walk through the Gate of Honour to the Senate House to receive their degrees. The method of study is also different than most other universities. The University offers lectures in an array of subjects relevant to a course. However, much of the learning takes place through the supervisions where a student or a small group of students meet with an academic. They discuss the subject matter and the academic assigns essay topics for the students to work on until the next supervision. The essays are a learning exercise and do not go toward determining the class of degree that the student will receive. Indeed, all that really counts in that regard are the examinations. These are sometimes referred to as “tripos” in memory of the days when the exam was done orally by a group of academics while the student was perched upon a three-legged stool. Usually, a student takes one examination at the end of his or her first or second year and one at the end of the third year. As mentioned earlier, the examinations are done by the University whereas the supervisions are done by the colleges. Thus, unlike most universities in North America, the person who has been supervising a student's course of study may have no connection with the examination that will determine his or her degree. The idea is that students are not being taught to regurgitate facts or one person's views but rather to develop an in-depth understanding of the subject and an ability to think through relevant issues. The course of study is very demanding as the standards are quite high. Still, students find time to pursue outside interests including sporting activities. The Cambridge Union Society puts on debates and presents notable speakers. The annual boat race against Oxford University remains a big event. Most undergraduate students are from the U.K. However, there is a substantial number of overseas students. Women have been able to study at Cambridge since the middle of the 19th century. However, it was not until 1947 that women could receive a degree from the university. Since then, almost all the colleges have gone co-ed with some of the women's colleges the last hold outs. There is now about an equal number of men and women in the overall student population.